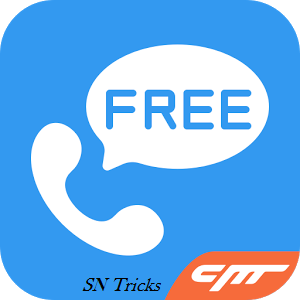 How to call free without Jio, mak a free unlimited call without Jio, how I can call unlimited calling. 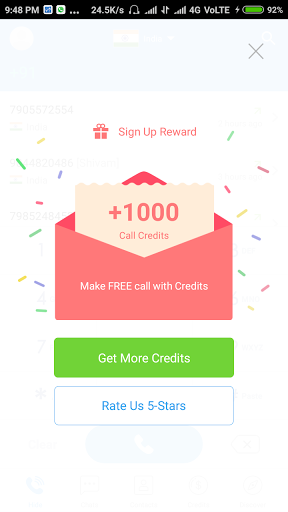 Hello, friends here I can tell you about how to make free unlimited calling without jio. There are allot of applications you can call free but in this article, I can tell you about most famous app Whatscall free international phone call. If your friends or family have no network access, then whatscall can still connect you. 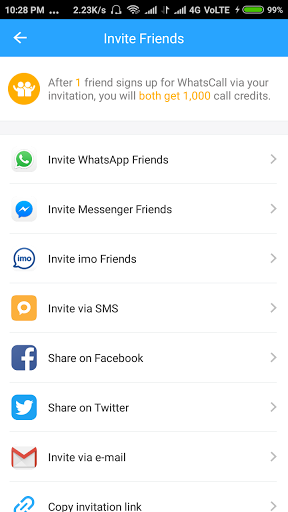 In this app, you can send your messages, photos and voice messages to whatscall friend or families. 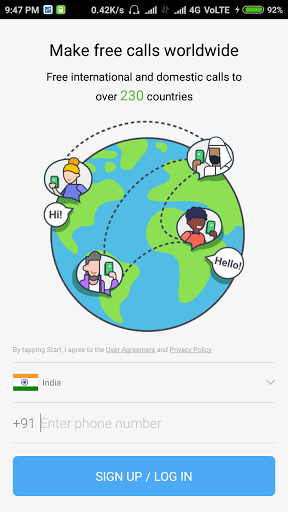 So you can simply use this app on your Android phones. 1) Firstly, you will download Whatscall from play store. 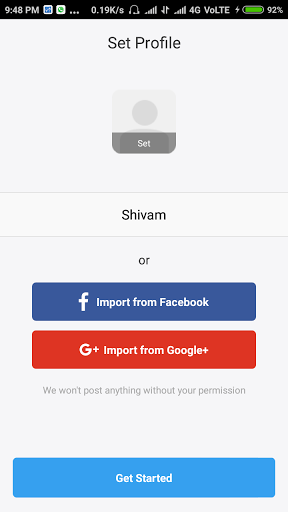 2) Signup your account with your number. 3) On signup, you will get 1000 Credits. 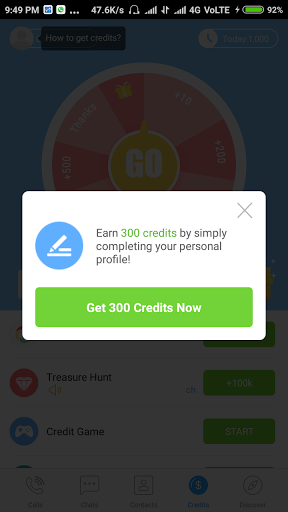 4) You can earn 300 credits by simply completing your personal profile. 5) Now share your referral link with your friends or family and get 1000 credits per referral. 6) Your friends will also get 1000 credits. On sign up using your referral link. Now you can call your friends. 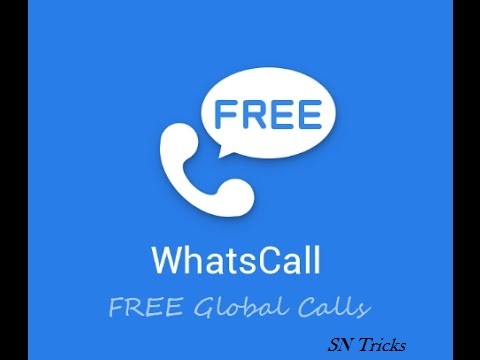 How to place a free call via WhatsCall? 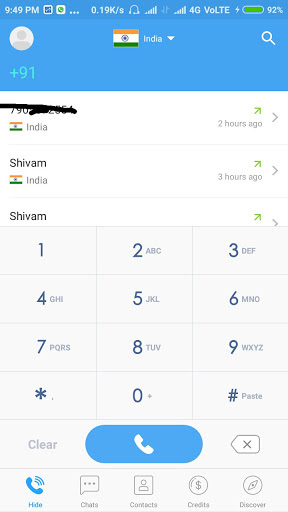 a) On the dial screen, Select the country which you want to call. b) Type in the mobile number whom you want to call. c) Then, Press the call button. d) Finally, That's it! now, wait for some time, until your call is connected automatically over the Internet connection to non-internet number. Call quality of the app is awesome. In normal mobile calls over wifi sometimes show distortion on Docomo, Jio but with WhatsCall did a good job. The Clarity depends on your internet connection through, it requires a decent internet connection. Also read, "Best Free Calling Apps For Android"